Advken has been pretty quiet lately in regards to releasing new atomizers or devices, but they’re now back with the new Manta RTA! This company is probably best known for their Mad Hatter RDA which was released quite some time ago. We have seen tons of RTAs being released this year ranging from a single coil, dual coil, and even triple coil RTAs. How does this one compare to the rest? We’ll find out in this review! 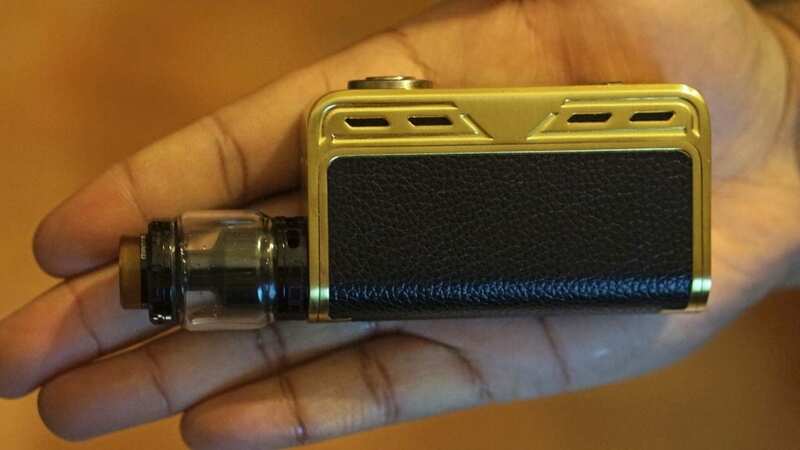 Before getting any further, we’d like to thank Heaven Gifts for sending this atomizer our way for the purposes of this review. We’ll cover our first impressions, building, and wicking, performance, pros and cons, and conclude with whether or not we recommend the Advken Manta RTA! Heaven Gifts Coupon Code: ACHEAP15 for 15% Off! The Advken Manta comes in a relatively simple box with some minor information on the back, and an image of a Manta right on the front. In addition, it does state right at the top right corner what color tank is inside, which is always a good thing. Something worth mentioning is that right on the front of the packaging, it does say “This product contains nicotine which is a highly addictive substance”, which is something we’ve been seeing more and more on the packaging. Once you slide open the box, you’re immediately met with the Manta RTA, the spare glass tank section, and the included accessories. This RTA also includes a “Doctor Coil” screwdriver, a small card with their social media information and a microfiber cloth, which I’m not sure why they included it, but it’s great that they did as you can use it to clean mods. The color option I received is the black variant, but there are newly released color options available which are Silver, Gold, and the ever so popular Rainbow. These are the newest colors that were added and were not previously available, so I’m glad to see that they went ahead and manufactured more color options. I always like to see a company offer more than one since every vaper has a different preference. The Advken Manta RTA does come pre-installed with the “bubble tank”, and the addition glass tank section is the standard one you see with the majority of RTAs. This is definitely a pro, and I hope going forward we see more companies offering this as an option or just including one like Advken. The bubble tank allows for more e-juice capacity without making the tank taller. Of course, it’ll add some width, but I think it’s worth it. Some vapers may not like how the Bubble Tank looks, but I personally like the looks of it on the Manta. Another nice touch is that the included Ultem 810 drip tip has the word “Manta” around the bottom and is also a different color than the Ultem. This makes the drip tip look a bit more low profile, which is great. One subjective con though is that this tank does not include a 510 drip tip adapter, so you cannot use your preferred 510 drip tips. Personally, I mostly use 810 drip tips, so it wasn’t a big deal for me. The overall build quality of the Manta RTA is top notch, which is a definite pro. In addition, it came clean with little to no machine oil, so one wash and this RTA was ready to be built and vaped! All in all, my first impressions of the Advken Manta RTA were positive with no real cons to be mentioned. I really liked how the tank was designed, and the included bubble tank was a huge pro! This tank features a building deck that heavily resembles a velocity styled build deck, so it’s very easy to build on. I’m sure both beginners and advanced users will have little to no issues when it comes to building on this RTA. Now you will notice that in the middle of the build deck there is an airflow hole, which allows air to hit the sides of the coils, which is a nice touch. In addition, rather than one large airflow hole under the coil, it’s split into two smaller airflow channels, which is something we haven’t see too much of. When installing your coil, be sure to position it where the center airflow will hit the sides of your coil, and right under both of the bottom airflow holes. Depending on the diameter and size of your coil build will determine where you’re able to position it. For example, a Fused Clapton coil will be easily able to cover both the bottom airflow holes and the center airflow. The bottom airflow will hit right under the coil in both the front and back of the coil with this type of design. I do want to mention that you can’t really fit gigantic builds in here like 3.5mm inner diameter, especially Clapton coils. I was easily able to fit a 3mm inner diameter Fused Clapton coil, but I’m not sure you’d want to go any bigger nor do I think you do to get excellent performance. Now wicking is crucial with this RTA as I found that it’s not too forgiving. If you have a larger diameter coil, you want to thin out the ends of the cotton a bit more since the juice channel isn’t huge. With a 2.5mm inner diameter, it’s a bit easier to wick since there’s less cotton. Either way, you do want to fluff out the ends of your cotton, and gently lay them into the wicking channels. You want to avoid cramming cotton in there as that’ll probably lead to dry hits or poor flavor. You might have to wick it a few times to really nail it, but that’s with almost any other RTA. It’s not the easiest RTA to wick, so I would say beginners may have some issues at the beginning, but remember, the more you do it, the more you’ll learn what works and what doesn’t! All in all, building and wicking the Advken Manta RTA is pretty straightforward, but it does take some perfection with wicking to get the best performance. When it comes to performance, I can easily say this is one of the best performing RTAs of this year, and definitely a contender for best RTA of 2017! My preferred coil build for this atomizer was a Dual Fused Clapton with an inner diameter of 2.5mm, which had a resistance of 0.18 ohm. I found that with this diameter it performed best. Now, it does perform great with a larger diameter, but I think the smaller coil edged it by just a bit. You really don’t need a giant coil in here to get stellar performance, which is great. 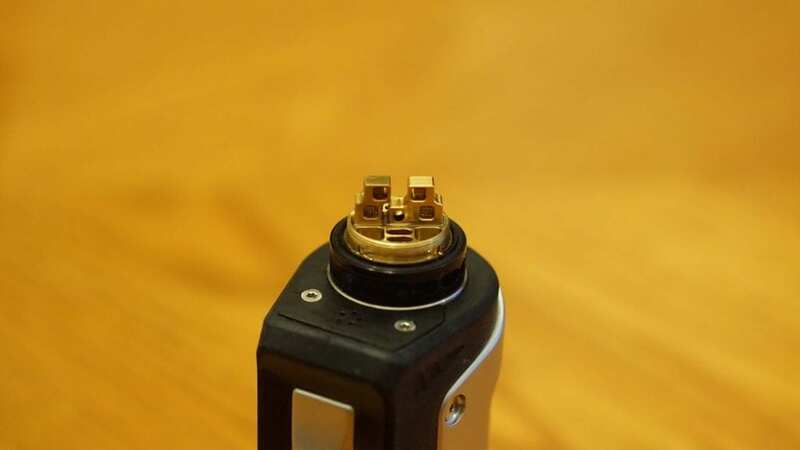 Like mentioned earlier, wicking is key with this RTA, and with the smaller coil it was simply easier to wick. When it’s wicked properly, the performance of this RTA is top notch. With my preferred coil build, I would vape it between 60w and 85w. At this wattage, I got a warm and flavorful vape every single time. Even when chain vaping at higher wattages, this tank would keep up with no problems whatsoever. The flavor from this RTA is solid and definitely better than some of the previous RTAs we’ve reviewed this year. The vapor production was also great, but this, of course, will depend on the wattage your vaping, build, resistance, etc. I do want to mention as a subjective con is that this is a dual coil RTA only, it doesn’t come with an adapter or anything for a single coil build. This isn’t the biggest deal for me, and honestly there’s a ton of single coil RTAs on the market that performs great. The airflow on the Advken Manta RTA is incredibly smooth, and I would prefer to close one airflow hole off. 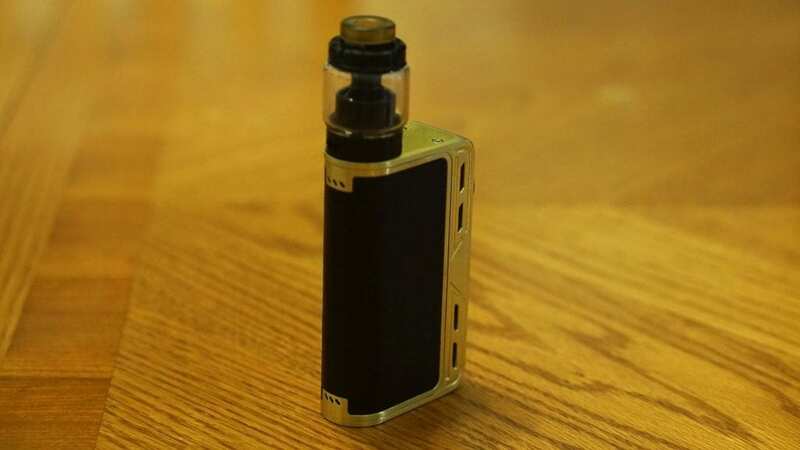 There are 3 airflow holes on each side, and with it wide open, it is quite airy, so it’ll satisfy you vapers who like little to no restriction in the draw. I do want to mention as a con that the airflow is quite hard to adjust, especially when this vape tank is attached to a mod. It hasn’t really loosened at all either even after using it for a solid three weeks. With the bubble tank, you do get an e-liquid capacity of about 5ml, and with the standard glass tank section you get about 3ml or so. I much preferred the bubble glass tank section for the extra capacity, and didn’t really notice any flavor difference between the two. In addition, filling this tank is quick and easy with its top fill design. It does have large fill ports, so you can easily fill it with any e-liquid bottle, which is a pro for sure. All in all, the performance of the Advken Manta RTA was stellar! The flavor and vapor production was top notch, and I was quite surprised by how well it actually performed. In conclusion, the Advken Manta RTA is without a doubt one of the best RTAs of 2018 and is a serious contender for the title. The build quality is great, the flavor is top notch and the included bubble tank is a huge pro for me. Even if you didn’t like the bubble tank, they did include a standard one, which is great. Now, there were a few cons that were mentioned, and the biggest one for me was the airflow adjusting. It was just difficult to adjust the airflow, and even after using it for an extensively, it still didn’t loosen up much. Even though this is the case, I never really adjusted after setting it to two airflow holes open on each side. This honestly doesn’t take away how great this tank performs. 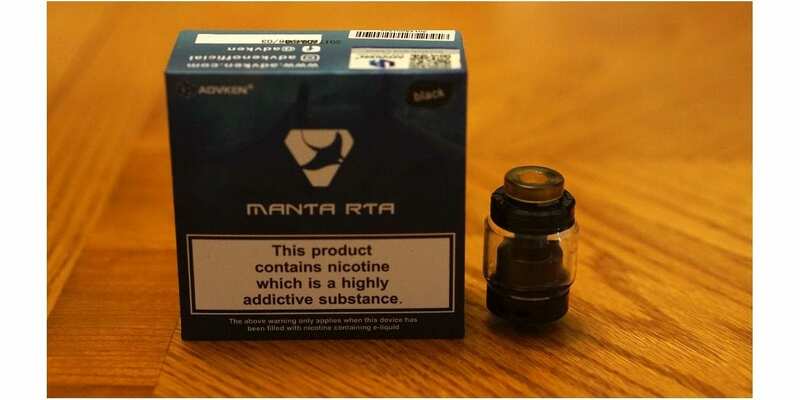 So, if you’re looking an excellent performing RTA that’s affordable, then I can easily recommend the Advken Manta RTA!